It’s never too early to teach children about robotics, astronomy, computers and outer space. Why did global aerospace giant Lockheed Martin send its chief executive to a Beersheva preschool? Because Lockheed Martin is a major partner in Israel’s first science-technology preschool program, thus far serving 100 children ages three to five. The idea is that it’s never too soon to inculcate the basics of science, technology, engineering and mathematics (STEM) so as to better prepare the next generation for the job market. “The future growth of Israel’s economy will require a constant supply of highly trained, highly capable technical talent, which is why advancing STEM education is a critical focus for Lockheed Martin,” said Marillyn Hewson, Lockheed Martin chairman, president and CEO. “We are proud of our collaboration with Israel’s Ministry of Education, Ministry of Science and the Rashi Foundation to promote STEM-related programs for kindergarten through high school students,” said Hewson at the dedication ceremony. The new early-childhood curriculum was designed to provide 300 hours of science study per year in a stimulating learning environment that allows preschoolers to experiment, experience and develop skills through hands-on creative activities in astronomy, physics, chemistry and robotics. She emphasizes that the preschoolers won’t lack time to enjoy traditional nursery-school activities such as coloring pictures and building with blocks. “The science and technology program will be integrated within the regular curriculum of the Ministry of Education for science-oriented kindergartens, which obviously includes play time,” she tells ISRAEL21c. It is hoped that these children will enter elementary school with a deeper understanding of STEM, and that this model for technological preschool education will be duplicated across Israel. “The kindergarten is intended to serve as a regional learning center for kindergarten teachers, education professionals and parents,” Ben-Hemo tells ISRAEL21c. Hewson was not the only big name on hand for the dedication of the science preschool. Also in attendance were Minister of Education Naftali Bennett, Beersheva Mayor Rubik Danilovitch, Rashi Foundation Chairman Lt. Gen. (ret.) Gabi Ashkenazi and other dignitaries from Israel and abroad. 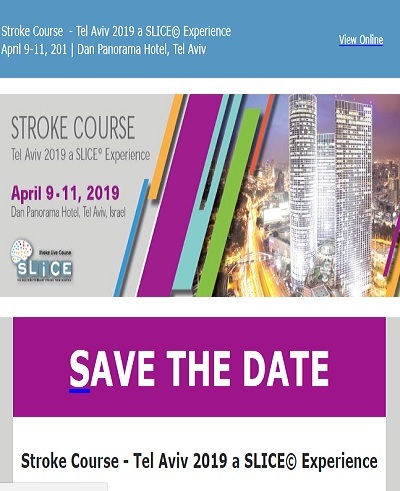 Ashkenazi said that the Rashi Foundation views the promotion of science and technology education from an early age in the geographic and social periphery as a major catalyst for strengthening Israel society and closing educational gaps between the center and periphery of the country. 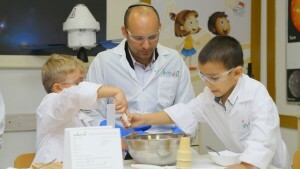 “The science kindergarten in Beersheva, the capital of the Negev, is an innovative and unique project that will give children an opportunity to cultivate their independent and inquisitive thinking and make an early start on their science education,” Ashkenazi said.